We have come to understand cultures to be stable patterns of beliefs, thoughts, traditions, values, and practices that are handed down from one generation to the next to ensure the continuity of these systems. In fact, traditions actually shift and change under changing social and political landscapes. Culture does not reveal stable patterns, but dynamic ones where experiences and commonalities continually re-shape it. This report asks and analyzes some critical questions, forcing us to take a hard look at all the factors that have to come together to effect transformation. IPV often recurs over the lifecourse and survivors’ decisions to seek help are shaped by their history of positive and negative experiences of help-seeking, and because their preferred and actual sources of help change over time. Using the Life History Calendar to interview 143 Filipina, Indian and Pakistani domestic violence survivors, this research enhances our understanding of help-seeking over the lifecourse and makes recommendations for system responses to domestic violence in Asian communities. This talk explores the connection between colonization and patriarchy, and how this dynamic perpetuates gender violence. 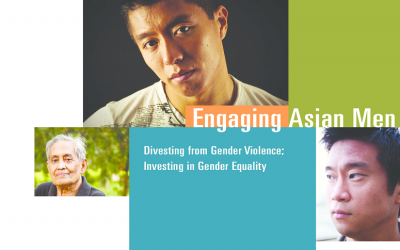 What will it take for men in our Asian communities to divest from gender violence and invest in gender equality? This tipsheet discusses the particular patterns, forms and dynamics of abuse of domestic violence in Asian communities. How leveraging cultural stereotypes in court plays into already existing negative depictions of culture. Use these training slides to enhance understanding of culture and cultural competency in domestic violence agencies. By Central California Asian Pacific Women. Advocates and community members from Fresno convened to examine domestic violence within the context of gender equity and how it impacts Fresno’s Hmong community. Participants identified steps that communities and systems can take to raise awareness, improve service for survivors, and redefine gender values and practices.